It is here that you will find the updates on my blog. Every time there is a new post it will be listed under blog update. New pages will be under website design updates. There will also be new updates under writings. There have been a lot of updates on this blog and this website. I have added pages for book reviews. I am also revamping my links. I am going to have links on separate pages for different topics rather than down the side of the page. I’ve also been more active in blogging on this blog. Been able to keep up with the Pagan Blog Project this time around. 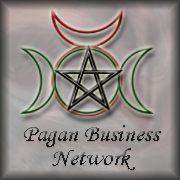 Started the Pagan Blog project. Though I have been updating the blog slowly prior to that and there will be much more to come.